Southern elegance! Newly installed entry gate & farmhouse fencing around the home! 2-story great room, stone fireplace, HW floors, relaxing front & back porch.Master suite on main w/private access to back porch. Expansive kitchen adorned w/large granite island, SS appliances, & custom cherry cabinets. 2nd level includes 2 bedrooms w/private baths & large closets, large library/bonus room w/built-ins & office w/barn door entry. Finished lower level w/complete living suite houses a full secondary kitchen & laundry w/exterior access. Must see Southern charmer! 315 Cheek Road, Monroe GA 30655 is a Home, with 5 bedrooms which is recently sold, it has 4,100 sqft, 3+ - 4 sized lot, and Attached,Garage,3+ Parking parking. 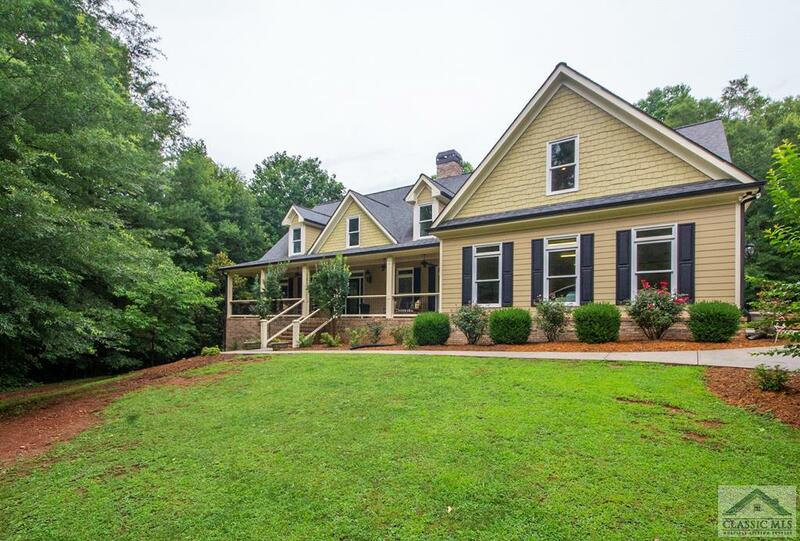 A comparable Home, has 5 bedrooms and 4 baths, it was built in and is located at 770 Youth Jersey Road Monroe GA 30655 and for sale by its owner at $ 649,000. This home is located in the city of Monroe , in zip code 30655, this Walton County Home, it is in the No Recorded Subdivision Subdivision, and Averys Walk are nearby neighborhoods.